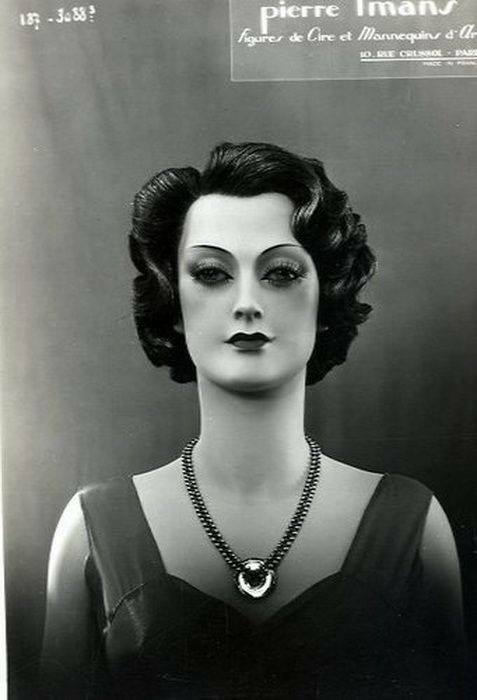 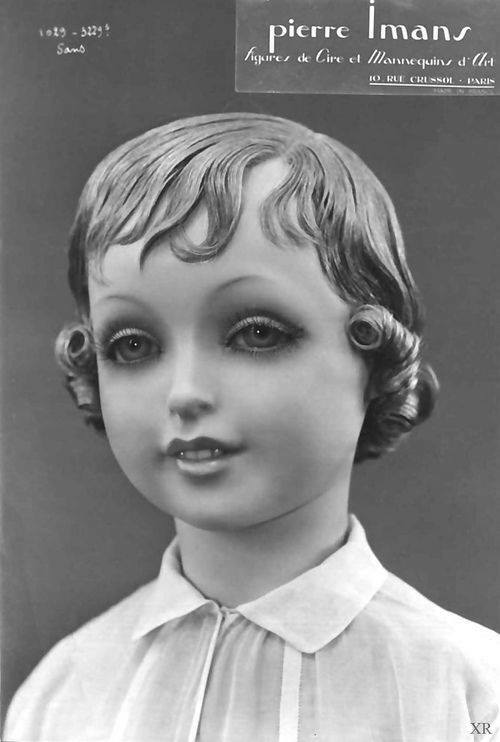 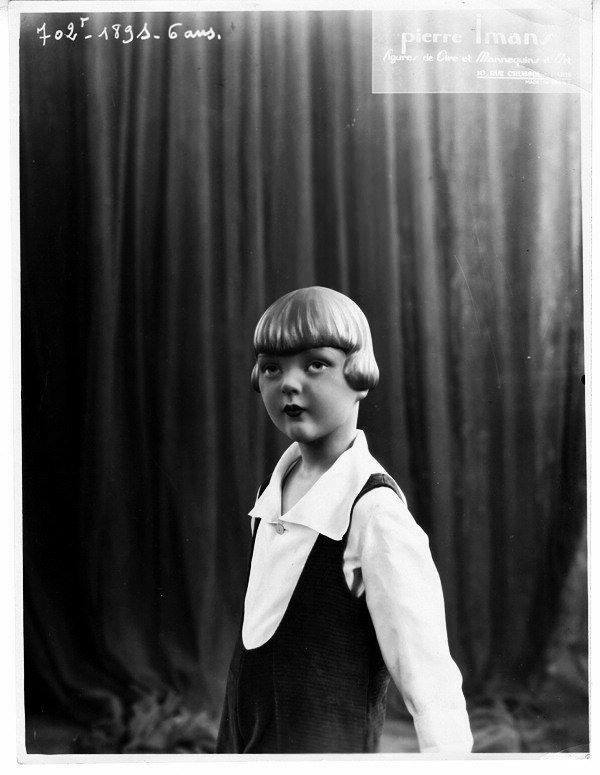 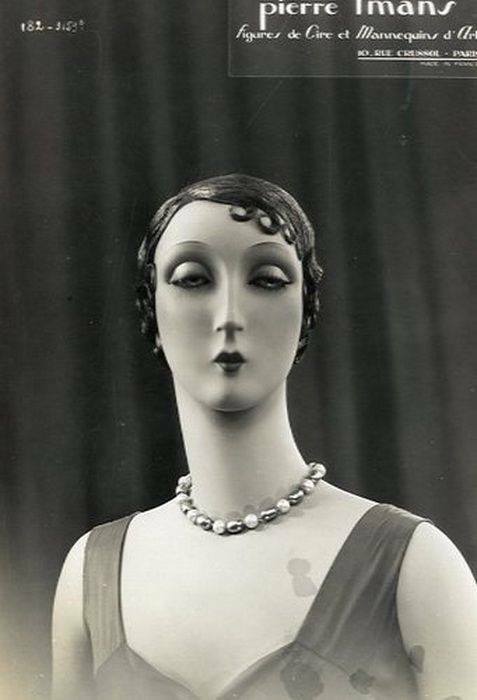 When we showed you the hypnotic mannequin produced in Paris by Siegel & Stockman, we wanted more. 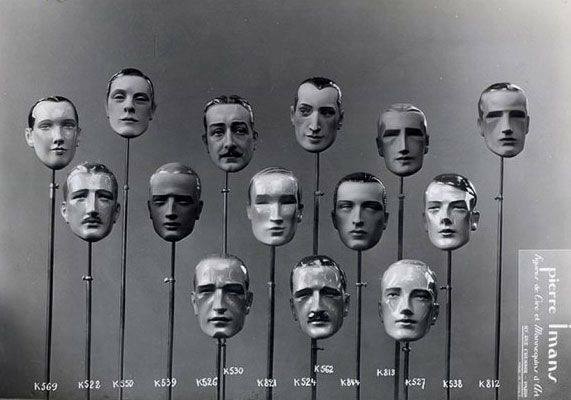 We found them. 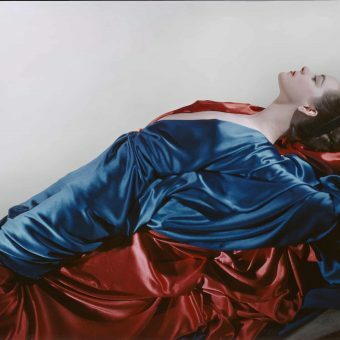 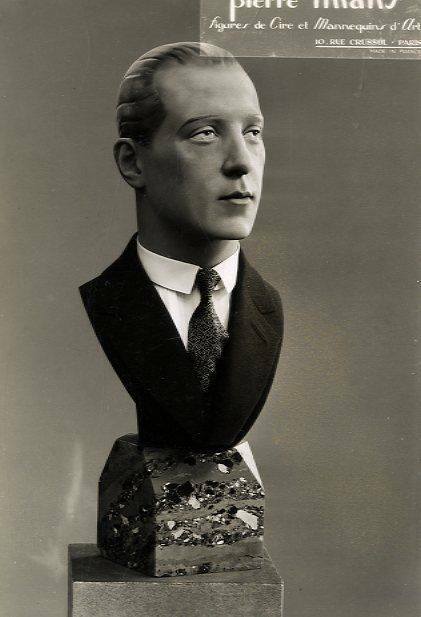 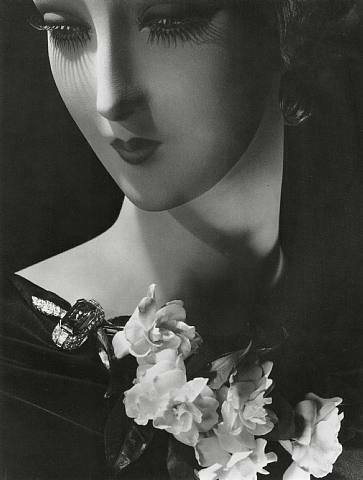 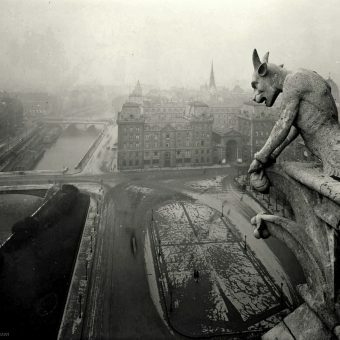 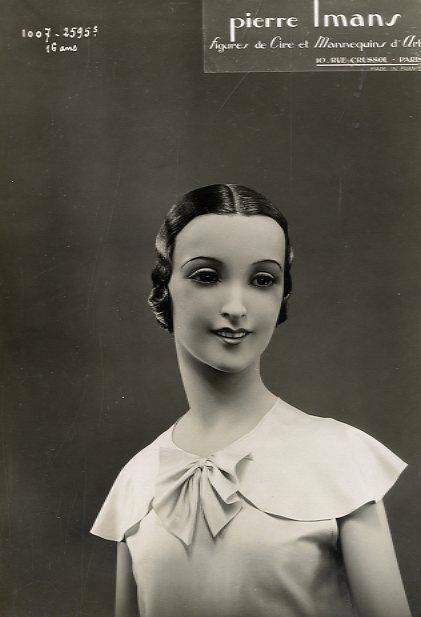 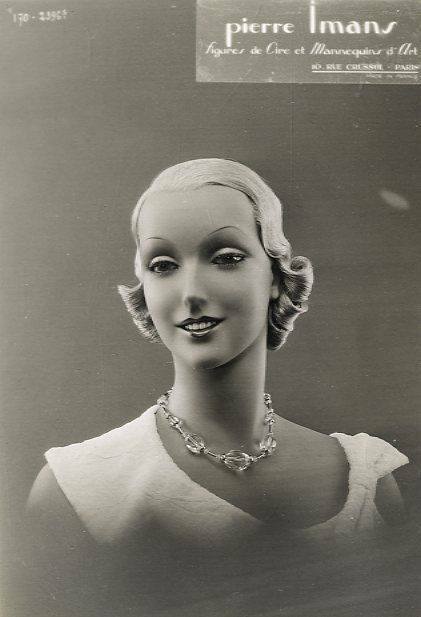 Below we feature the work of Pierre Imans, whose mannequins were designed to be as lifelike as possible. 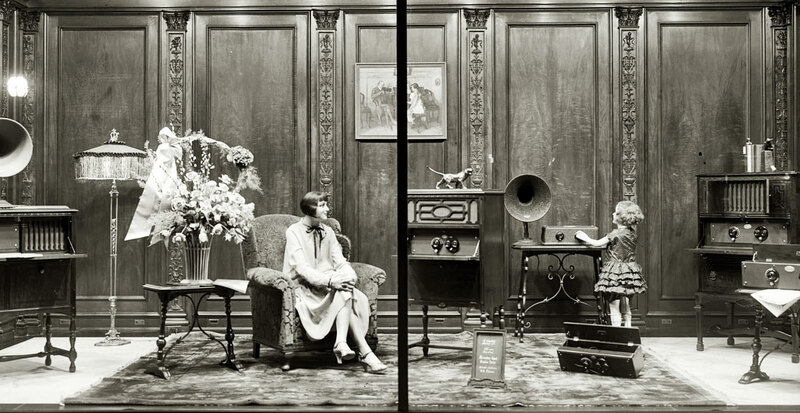 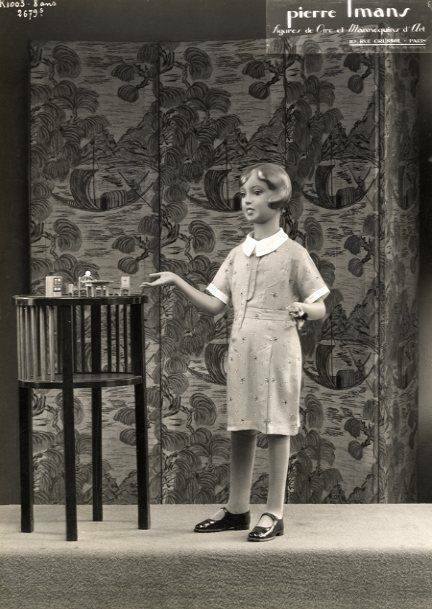 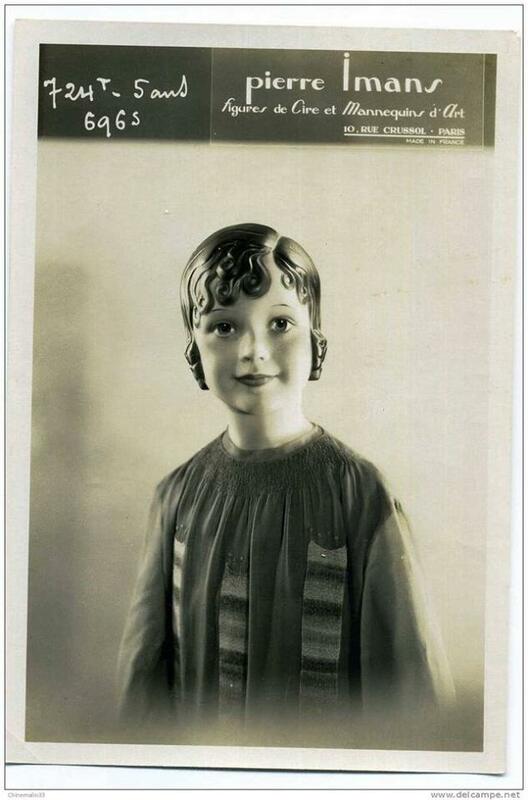 The 1928 window display for Atwater Kent radios, Washington D.C.
Often set in a fashionable tableau – on a cruise ship, perhaps, or in the salon drinking a digestif – Imans’ wax, human haired, glass-eyed, porcelain-toothed dummies had named like Roberta, Elaine and Nadine. 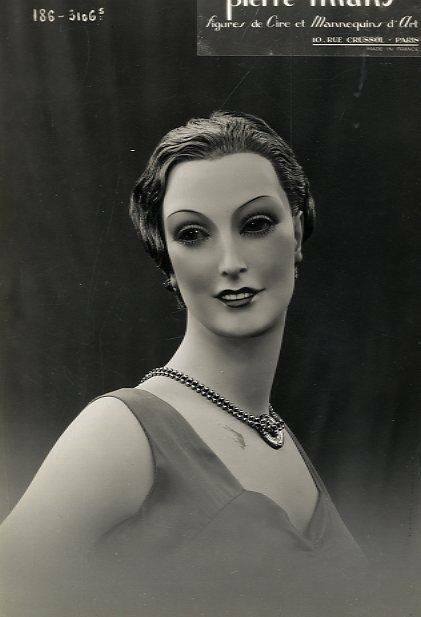 Eschewing the ideal of a perfect female body shape, Imans’ figures had flat chests, wide hips, middle-aged faces and came available in a size 46. 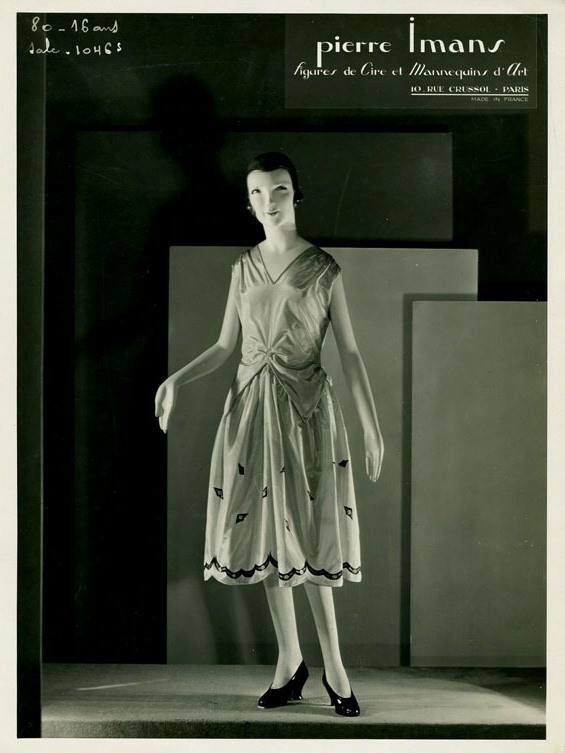 Imans’ mannequins reflected the diverse body shapes of women, those potential customers who’d eye the clothes on show. 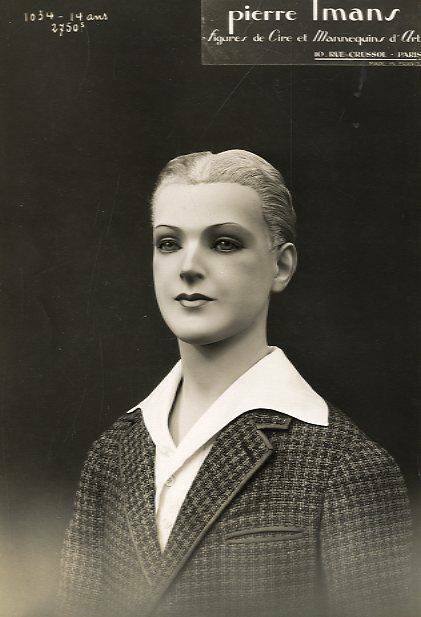 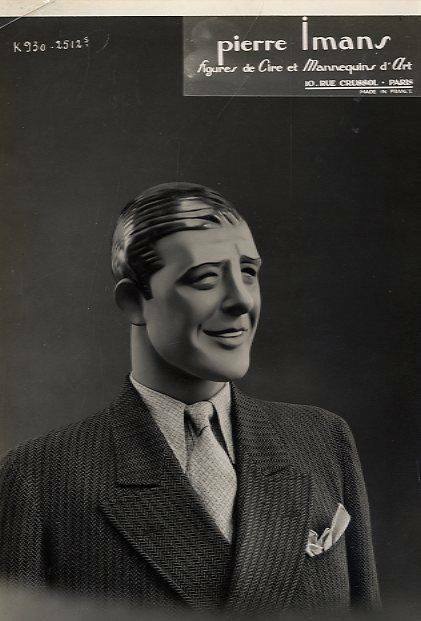 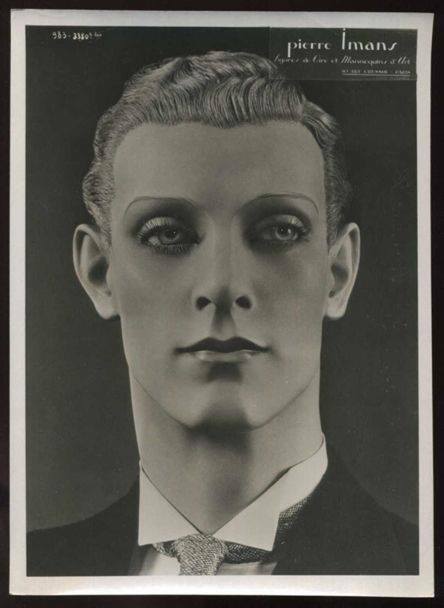 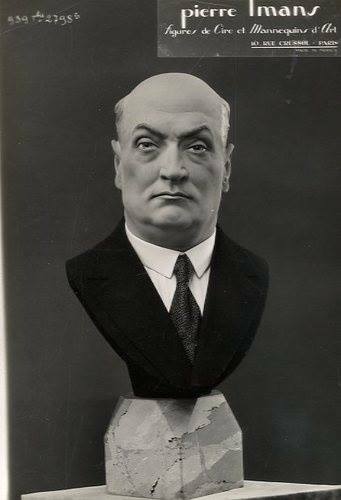 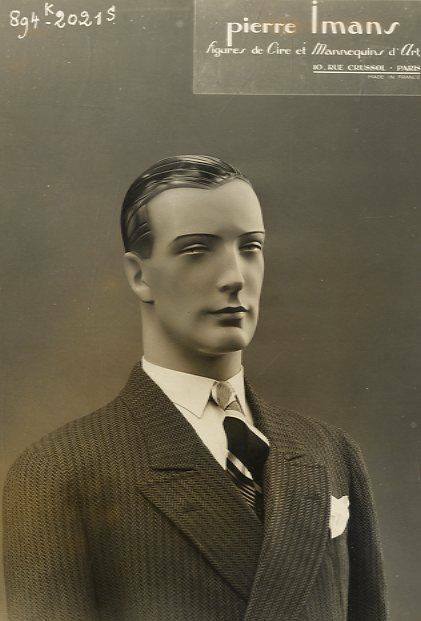 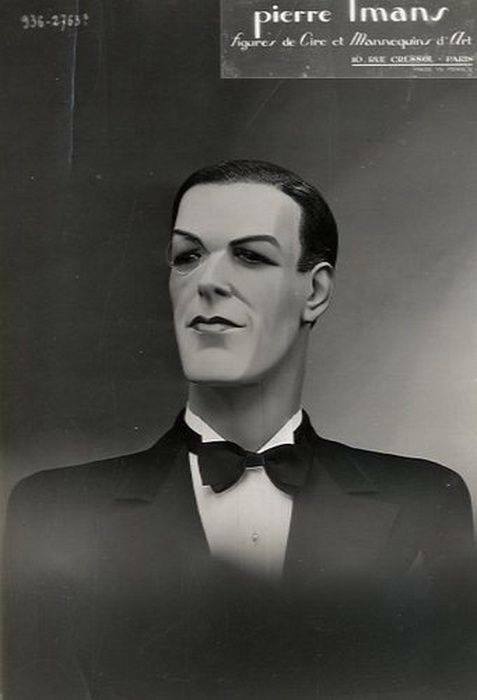 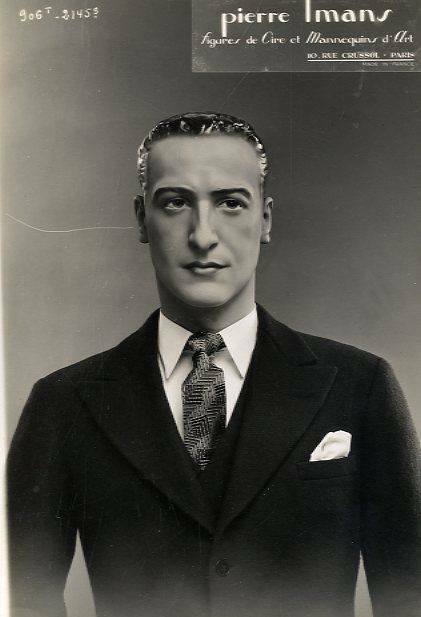 Pierre Imans emotion on male mannequins, circa 1930s. 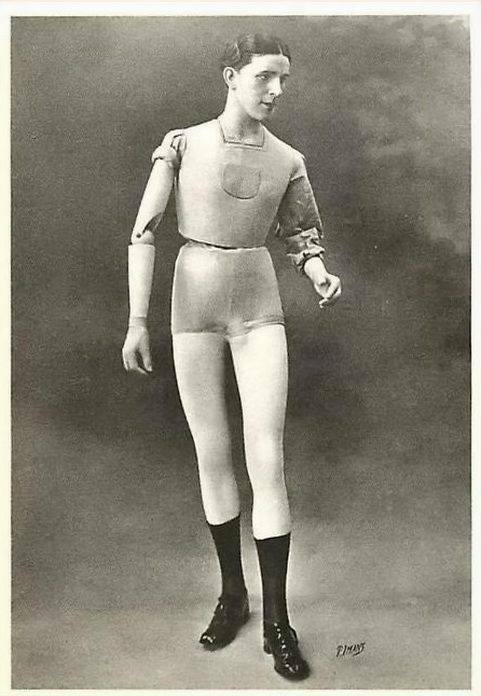 He was renowned. 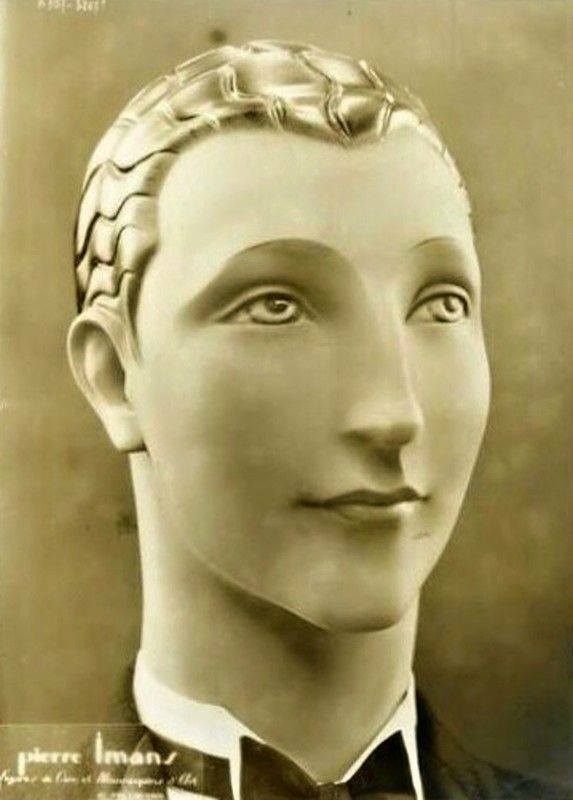 In 1925, to preserve the body, Imans’ company produced a skin of life-like wax to cover the hands and face of St. Bernedette of Lourdes. 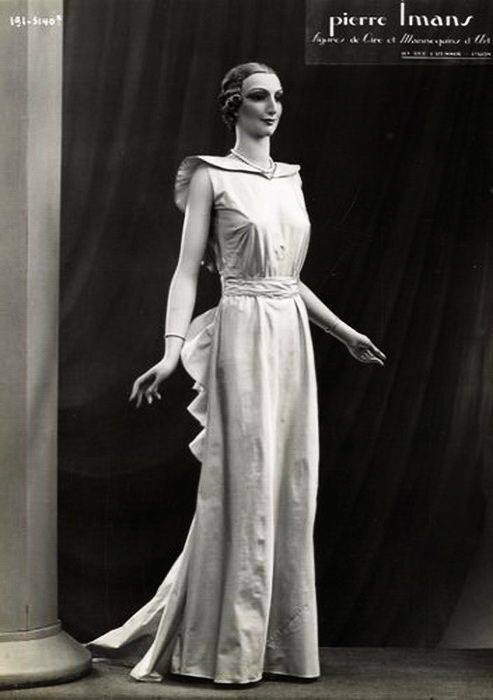 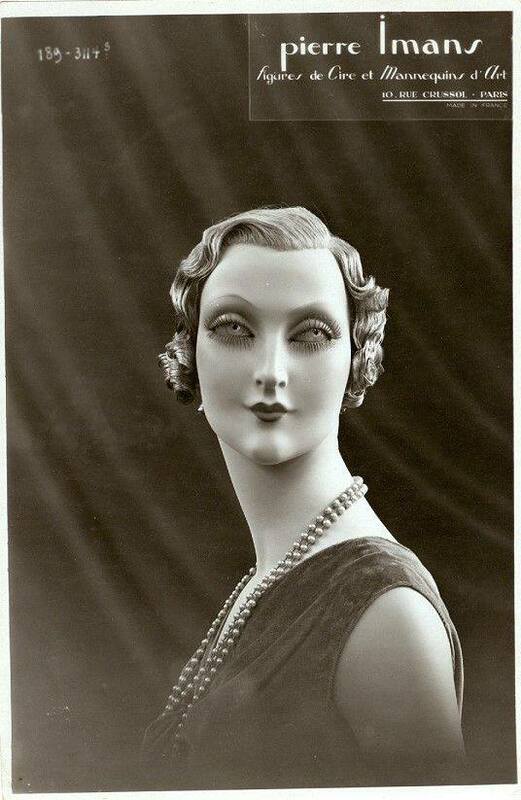 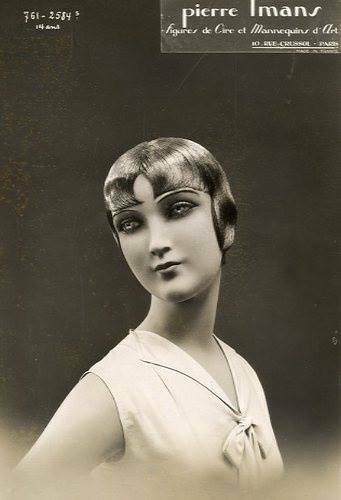 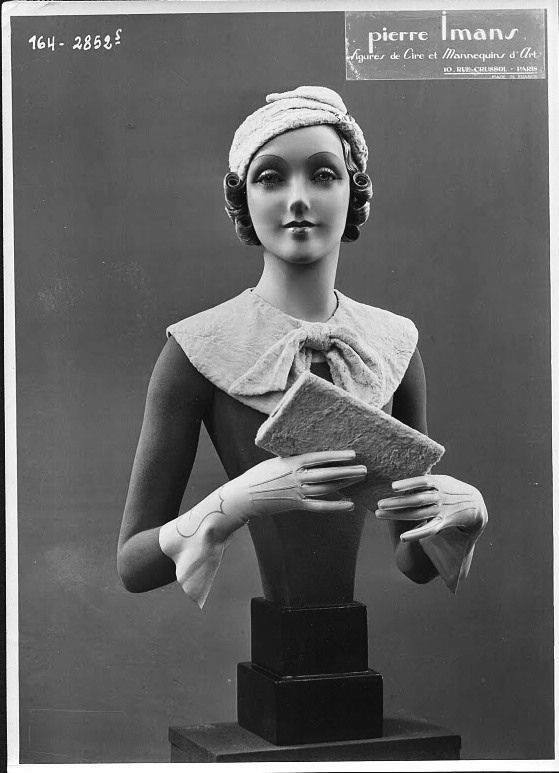 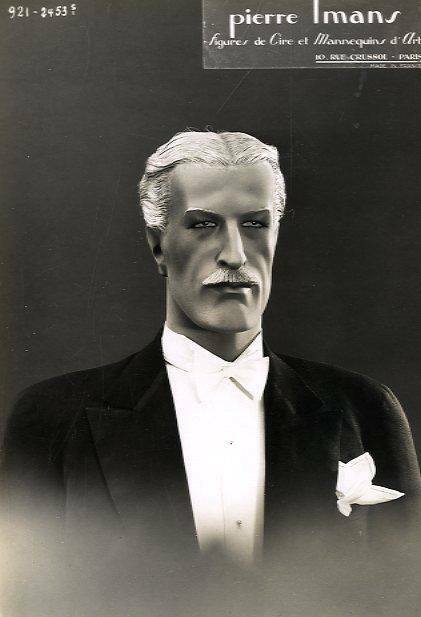 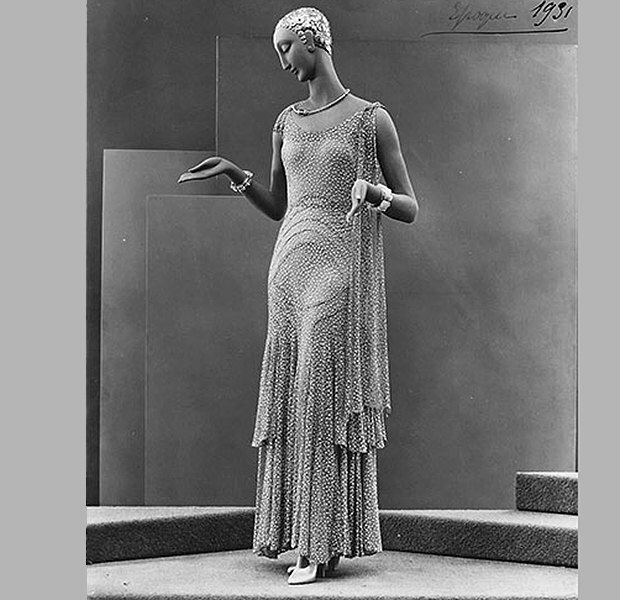 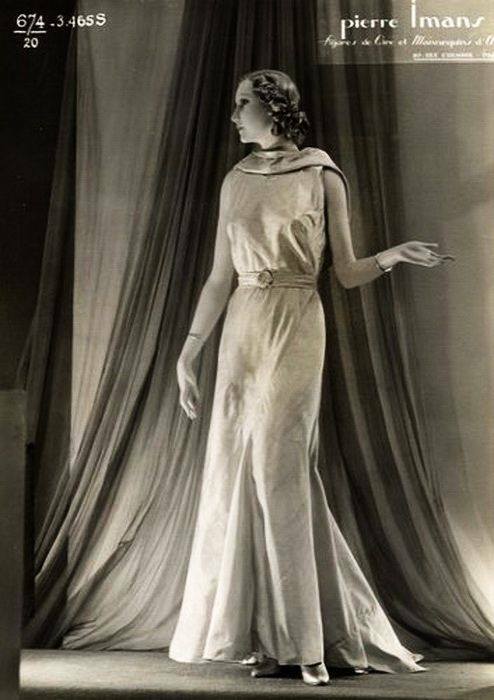 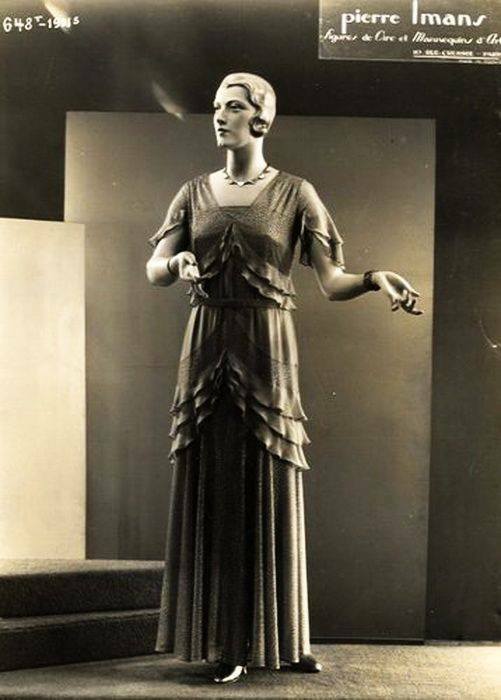 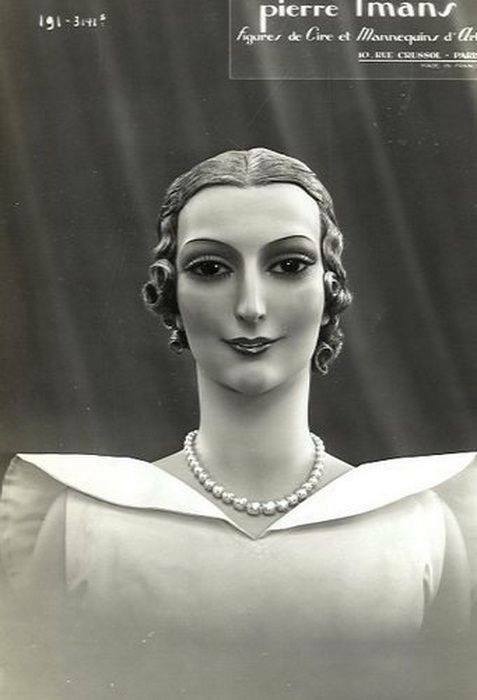 From the 1920s a range of new materials such as cérolaque and carnasine (a mixture of plaster and gelatine) were introduced to produce mannequins that were lighter and more resistant, and also new finishes and effects that were designed to enhance the mannequin’s luxury status and to ensure that it took its place seamlessly in the context of a window display.